Well I'm still crossing things off my list. Still not quite blogging on a Wednesday! Oh well, finally sorted out the puckering on the back of this quilt and have re quilted the effected areas. Ends all tucked in between the layers, now for my least favorite part of quilting, squaring up.... Nearly at the end though! Already thinking about the next project. Whats your least favorite part of making a quilt? My least favourite parts are squaring up and the actual quilting. 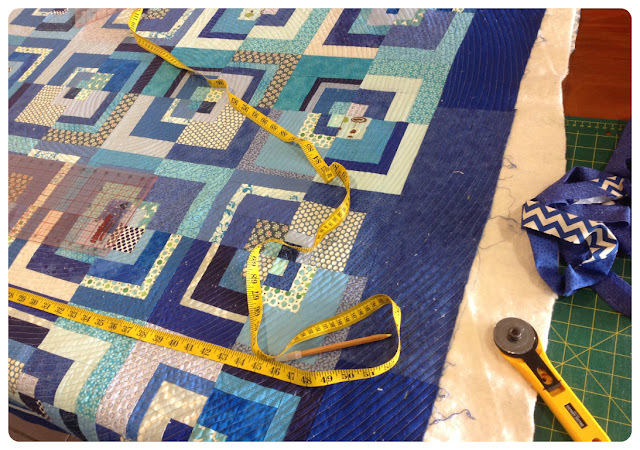 The quilt you are working on is beautiful! Great job! !